For most of China's deeply indebted companies, another prolonged slump in the country's housing sector could be catastrophic. Barring a decision to loosen government controls on credit, investment and home purchases, China's housing and construction sectors will slow in 2017. Industries that hold the bulk of China's outstanding corporate debt, including commodities, building materials and other sectors related to construction, will bear the brunt of a sustained housing slump. Sluggish construction growth and skyrocketing debt, coupled with sharp reductions in debt maturity periods, could cause corporate defaults and bankruptcies to spike next year, testing Beijing's legal and institutional abilities to cope with them. China's new stealth fighter, the J-20A Mighty Dragon, showcases the Chinese air force's remarkable progress over the past two decades. Nevertheless, significant deficits in equipment and training will continue to hamper further advances. China will focus its efforts on resolving bottlenecks, including lags in engine development and insufficient combined-arms drills, as it seeks to build up its air force in the coming years. Two sleek Chinese stealth fighters streaked across the skies over Zhuhai on Nov. 1, marking the official debut of Beijing's brand new J-20 Mighty Dragon jet. One of the only fifth-generation stealth fighters ever built, the aircraft's unveiling is a symbol of the impressive progress China's air force has made over the past two decades. The stealth fighter's design, however, also contains several important weaknesses, a reminder of the limitations in military aviation China is still struggling to overcome. Building a bigger and better military is paramount to Beijing's ambitions abroad. As China has emerged as a prominent actor on the global stage, its interests and activities have stretched far beyond its shores, bringing it in direct contact — and competition — with some of the world's most advanced militaries. Aware that it must adapt its own force structure accordingly, China has worked to develop and invest in its navy and air force. Though commercial satellite imagery is now available to every corner of the economy, the industry will largely stay focused on its original customers: government intelligence agencies. Thanks to a number of novel concepts and technologies, imagery collection satellites will continue to evolve and proliferate at a faster and faster pace. As companies try to keep up with the ever-expanding volume of imagery available, they will have to find better ways to store, analyze and manage it. DigitalGlobe, one of the largest commercial providers of satellite imagery, launched its WorldView-4 satellite into orbit last week, adding to the growing constellation of satellites circling the Earth. Thanks to these satellites, we have gotten accustomed to having vast amounts of imagery at our fingertips. From online mapping services like Google Maps to browsable databases like Microsoft's TerraServer, the widespread availability of aerial photographs has become the new norm. But commercial satellite imagery was never intended to serve media outlets or households alone. Instead, the industry was largely built with one set of customers in mind: government intelligence agencies. Even now, the imagery that frequently makes its way to consumers in the private sector is still gathered with an eye toward intelligence requirements. In all likelihood this emphasis will not change much in the coming years, even as states' own collection capabilities continue to improve. China's new cybersecurity law will strengthen the Communist Party of China's control over the country's internal network by boosting the number of requirements operators must follow. Monitoring and directing the flow of information will remain key to the Party's survival, though doing so will become more difficult as the Chinese economy grows more reliant on digital information and goods. To meet its political goals without stifling growth, Beijing will continue to pull China's most powerful technology companies into its orbit, giving them a vested interest in supporting the status quo and the Communist Party's rule. China has finally passed a long-awaited cybersecurity law that will usher in a new era of regulation in the country's digital and technology sector. Previous versions of the bill, which just completed its third and final round of review, make it clear that the state intends to tighten its already firm grip on the industry. Now that the new law is passed, one thing is certain: The Communist Party of China is eager to protect its position in power by controlling the flow of information in China. That said, closely guarding the exchange of data runs counter to the idea of maintaining a vibrant technology sector, an important part of China's plan to move its economy toward higher-end products. Its allure, however, is unlikely to outweigh Party leaders' concerns about safeguarding cohesion and social stability — the things that guarantee their political futures. Instead, President Xi Jinping will do what he has always done, cutting off avenues of dissent by taking China's cybersecurity policy into his own hands. It is becoming increasingly clear that digital information is not as secure as it was once thought to be. This week, I had the honor of delivering a keynote speech for the Global Cyber Security Leaders Conference in Berlin. The city, which decades ago was a hub of Cold War-era espionage, provided the perfect backdrop for my attempt to put its modern cousin — cyber espionage — into context. One need only glance at the headlines to see that all things cyber are attracting quite a bit of attention these days. From vulnerabilities in the Internet of Things and distributed denial of service attacks to the hack of the Democratic National Committee, it is becoming increasingly clear that digital information is not as secure as it was once thought to be. Because of this, I'd like to share my thoughts on cyber espionage with Stratfor's readers. First, I want to be clear about what I mean when I say "cyber espionage." As I am using it, the term simply refers to any espionage committed against a computer system. So, according to this definition, cyber attacks are just one tool in the espionage toolbox, alongside many other methods of attacking a computer system including human, signal and imagery intelligence. Cyber espionage's close link to these tactics is what sets it apart from more traditional forms of hacking. Hackers certainly use internet searches (open-source intelligence) to plan their attacks, and social engineering (human intelligence) to assist them, but their reliance on other tools of espionage is limited compared with that of the sophisticated state and non-state actors engaged in cyber espionage. The Islamic State is trying to hack U.S. power companies, U.S. officials told a gathering of American energy firms Oct. 15, CNNMoney reported. The story quoted John Riggi, a section chief at the FBI's cyber division, as saying the Islamic State has, "Strong intent. Thankfully, low capability … But the concern is that they'll buy that capability." The same day the CNNMoney report was published, the U.S. Department of Justice announced the arrest of Ardit Ferizi — a citizen of Kosovo and known hacker, apprehended in Malaysia — on a U.S. provisional arrest warrant. The Justice Department charged Ferizi with providing material support to the Islamic State, computer hacking and identity theft, all in conjunction with the theft and release of personally identifiable information belonging to 1,351 U.S. service members and civilian government employees stolen from the servers of an unnamed U.S. retail chain. According to the Justice Department, Ferizi provided the stolen personal information to the Islamic State's Junaid Hussain (aka Abu al-Britani) who was subsequently killed in an airstrike in the Islamic State's self-proclaimed capital of Raqqa, Syria. On Aug. 11, Hussain tweeted in the name of the Islamic State Hacking Division a link to a 30-page document that contained the information allegedly stolen by Ferizi. The document threatened "we are in your emails and computer systems, watching and recording your every move, we have your names and addresses, we are in your emails and social media accounts, we are extracting confidential data and passing on your personal information to the soldiers of the khilafah, who soon with the permission of Allah will strike at your necks in your own lands!" Exports of goods manufactured in India face several obstacles in reaching foreign markets that add to their price and limit their competitiveness. India's inadequate infrastructure and nonuniform state-based tax regime adds to the cost of exports, inhibiting their competitiveness. Lawmakers have created the Goods and Services Tax as a remedy, but a bold opposition will push against it, making it unlikely to be implemented by the April 1 deadline. India's trade negotiation gridlock and inverted tariff structure are additional hindrances to export growth. The value of India's exports, including goods and services, grew by 9.5 percent in October compared with exports during the same month a year ago. The growth was driven by the increased pace of exports of gems and industrial goods, but the statistic does not capture the bigger picture. Excluding services, the export of goods, which constitutes 62 percent of overall exports, has actually fallen in 18 of the past 21 months. And that is a worrisome trend for India's economy, especially on top of the plummeting value of merchandise exports, which fell 6 percent to $318 billion in 2014 and another 17 percent to $264 billion last year. Reduced global demand for commodities explains part of the drop, but India cannot blame all of its troubles on outside factors. The rupee has strengthened over the past two years, partly because of the falling values of other currencies, which could have hurt exports. But more significantly, manufacturing problems and a complex and inefficient tariff structure have constrained the export market — and look likely to continue doing so well into the future. Mourners pray over the casket of a Hezbollah commander killed in an Israeli airstrike in January 2015. When the Syrian government launched an all-out offensive against the rebellion growing within its borders in April 2013, it did so with considerable help from Lebanese militant group Hezbollah. Nearly four years later, Hezbollah's involvement in the Syrian civil war has only deepened. Though the group has not escaped the vicious conflict unscathed, it has emerged a more capable and deadly force — a fact that has not gone unnoticed by its longtime enemy to the south, Israel. Hezbollah has proved itself a crucial ally to Syrian President Bashar al Assad. With the group's support, loyalist troops were able to quickly turn the tide of battle against the country's rebel groups in mid-2013 in a series of victories around Qusair. The sweeping operation allowed government troops to secure the key corridor linking the Syrian capital to the coast. Since then, Hezbollah has affirmed its value on the battlefield time and again. Now, the group's elite Radwan regiment is immersed in the crucial fight for Aleppo alongside government troops, while many other Hezbollah units are deployed across the country. Meanwhile, Hezbollah maintains several large bases and outposts near Qusair, where it made its first major entrance into the civil war. A fishing crew embarks for the Scarborough Shoal, a necklace of reefs and rocks in the South China Sea that is the center of a long-running territorial dispute between China and the Philippines. The contested waters of the South China Sea are a geopolitical flashpoint, but for now they exist in a period of comparative calm. Following a July ruling by the Permanent Court of Arbitration, countries with territorial claims in the waters struck a conciliatory tone, most prominently over the Scarborough Shoal — a barely submerged coral atoll that has become a touchstone for affairs between China and the Philippines, traditional adversaries in the South China Sea. A normally recalcitrant Beijing, forced to accept a more delicate and complex maritime arrangement in the region, is making placating gestures at last. The shoal is emblematic of deeper issues at stake, namely the nature of maritime boundaries and bilateral concerns over fishing rights and exploitation of strategic territory. 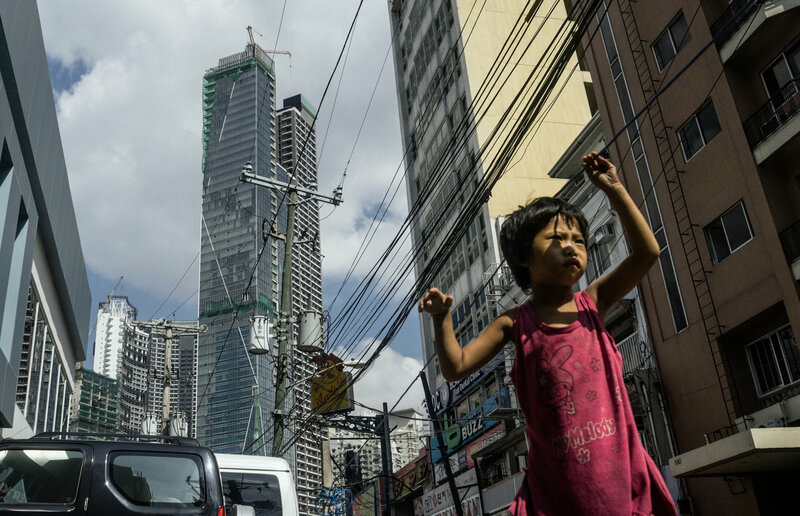 Philippine President Rodrigo Duterte made a high-profile visit to China in October and, following a strategic recalibration on both sides, Beijing and Manila appeared to be moving toward a joint mechanism of control over the shoal. The aspiration is that the countries will eventually be able to achieve some form of coexistence. That said, such a delicate arrangement is susceptible to domestic pressure, especially from nationalist movements, and to additional sovereignty disputes that may develop. Nagrota attack was in progress even as Pak’s outgoing Army Chief Gen. Raheel Sharif was handing over the baton to his successor Javed Bajwa. The attack by Pakistani terrorists at the base of the Indian Army’s 16 Corps at Nagrota, near Jammu, in which two officers and five soldiers were killed on Tuesday, is evidence, if this were needed, that India’s September 28-29 “surgical strikes” across the Line of Control at terrorist launchpads were ineffectual and pointless. The attack was in progress even as Pakistan’s outgoing Army Chief Gen. Raheel Sharif was handing over the baton to his successor Gen. Qamar Javed Bajwa. Until there is sufficient information, it will be debated whether it was the retiring general’s last hurrah, his final anti-India act, or the incoming chief’s inaugural fusillade to show that there will be no deviation from the Pakistan Army’s core formula of using terrorist proxies against India. This is a meaningless debate. As it was noted here earlier on Tuesday, no matter who leads the Pakistan Army, even a good guy, the use of the low-cost and deniable use of proxies is unlikely to be given up in a hurry as a strategic paradigm. Among the key elements that will go into how we defend ourselves — short of war — is to make high-value locations secure in a foolproof manner. The Narendra Modi government, for all its extolling of nation and nationhood and excoriating opponents as “anti-national”, has shown itself spectacularly inept in ensuring this. 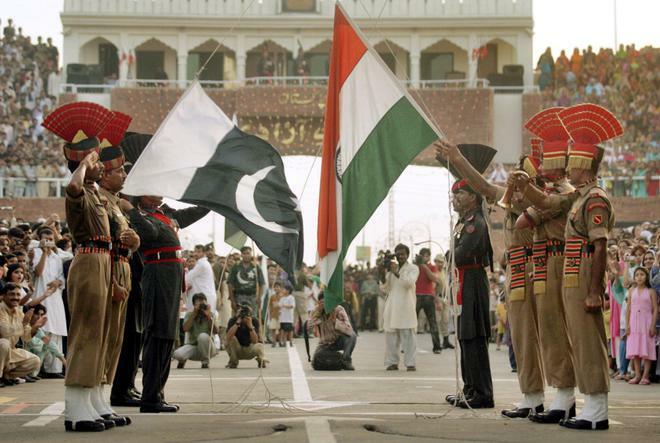 Arguably, this is one of the darkest periods in India-Pakistan relations. The moot point is whether the two neighbours are meandering towards an existential crisis, given their history of troubled relations. It would seem so, as every time an attempt is made by India to reduce tensions, matters only seem to spiral downwards. Prime Minister Narendra Modi did reach out to his counterpart Nawaz Sharif even before he took office by inviting him to his swearing-in ceremony, but nothing has gone right since then. Terror attacks on Indian targets, both military and civilian, have only increased. A surge in hurling of invectives by both sides has also occurred. Both India and Pakistan have tweaked protocol to expel not one or two diplomats at a time but in far larger numbers. Recent incidents in the region are reminiscent of the Cold War era in the West; on one occasion in the latter half of the 20th century, the U.K. and the then Soviet Union had expelled as many as a hundred diplomats from their respective countries. There might have been something to this logic if the Chinese attack across the Namka Chu river in Arunachal Pradesh (then North-East Frontier Agency), that had begun on October 19, had continued uninterrupted after the huge gains it had quickly made. For by October 23 the Chinese PLA’s three regiments had decimated the Indian Army’s 7 Brigade commanded by Brig. John Dalvi (taken prisoner) and was within 10 miles of Tawang. On October 24 the PLA entered Tawang unopposed. That night they were also opposite Walong at the other end of NEFA. Both Tawang and Walong were deep inside NEFA. Forcing someone to play — or to hear — the national anthem is an insult to its very idea and promise. It is an especially chilling moment when the Supreme Court curbs individual freedom in the name of nationalism. It’s the Supreme Court which has often protected and upheld the rights and liberties of the individual and the minority against attempts by the state to encroach on them, often in the name of the majority’s mandate. But Tuesday’s directives on the national anthem — it shall be played in all cinema halls, everyone shall stand up as a mark of respect, with all exits closed off, among other do’s and don’ts — are a clear and troubling backsliding from that record. By taking the patriotism test into the cinema hall, by forcefeeding a notion of nationalism to people seeking entertainment, the bench of Justices Dipak Misra and Amitava Roy has not just offered an instance of striking judicial overreach. It has also let down all those who have come to look up to it as a custodian of constitutional freedoms. That the court is invoking the Constitution while moving against its spirit is even more disquieting. The Tibetan plateau is witnessing a great deal of infrastructure development. This is not new, but the Chinese investments have taken much larger proportions in the recent weeks. Undoubtedly, it will bring tens of millions Chinese tourists on the plateau. During the previous five-year period (2011-2015), 300 kilometers of high-level roads were built in the TAR while the Lhasa-Shigatse Railway started its operations in 2014; further 63 new airlines have been opened, linking 40 cities in China. By the end of the current Plan (13th), the total mileage of highways in Tibet will reach 110,000 kilometers. On November 25, China Daily announced that “more than 20 new highways will be built in the TAR next year, with a total investment of more than 33 billion yuan (5 billion US dollar)”. According to Ge Yutao, head of the TAR’s regional transportation authority, the new routes will include Lhasa to Nagchu; Derge to Chamdo; Chamdo to Jaka; Lhasa to Shigatse Airport; and Gongkar Airport to Tsethang, as well as the Nyima-Aso section of National Highway 317. It is time to deal with the issue of mutilations separately from the overall gambit of military conflict. The Army carried out a massive counter assault using heavy mortar fire on Pakistani posts along the Line of Control, as “heavy retribution” for the beheading of an Indian soldier. In the past three weeks, the Pakistan Army has mutilated bodies of two of India’s soldiers. The Indian Army’s Northern Command had responded that there would be retribution for the cowardly act. While form and nature of warfare has always strictly been a military domain, there are cases where civilian agency needs to step in to ensure that savagery is not given the normalization and justification of a conflict. There is no justification- religious, moral, political, emotional, rational or strategic for mutilation of bodies. To call it a form of warfare is an abomination to the profession of arms. Armies are professional organizations entrusted with organized violence with constitutional checks and balances. Whatever the nature of civil-military relations in Pakistan, the civilian government cannot condone such acts. Mutilation is not part of any tactical or strategic escalation ladder. It defeats the very purpose of strategy, tactics and politics. It is a beastly response to circumstances which falls out of any form of human interaction, conflict or civilization. While no professional military organization in the world is intimidated by such cowardly acts, the civilian governments on both sides need to ensure that such acts are not given the legitimacy in the name of impassioned conflict. Pakistan has mastered the art of symbolism; of letting its actions do all the talking. As the country prepares for a change of Army Chiefs today (November, 29) two terror attacks in the Jammu region have sent out a clear signal that there is no change in its policy towards India. The twin terrors attacks in the Jammu region and instances of cross border engagement with the BSF are ground indicators of the business and usual policy that Pakistan will follow so far as India is concerned after Gen. Sharif gets superannuated. In the last few days after declaration of Lt. Gen. Qamar Javed Bajwa as Army Chief designate, the Indian media has been going overboard in its breathless coverage to the changeover. The crux of the opinion that has been put forward is that Gen. Bajwa is a mature professional soldier, a votary for democracy and more interested in containing the internal security situation of his country which is in doldrums. It is also being said that Gen. Raheel Sharif was the villain of the piece so far as the teetering Indo-Pakistan relations are concerned. The spike in terrorist activity, cross border fire, infiltration bids etc. were all due to the personal agenda of Gen. Sharif with the Government of Pakistan and Prime Minister Nawaz Sharif standing by as mute spectators. 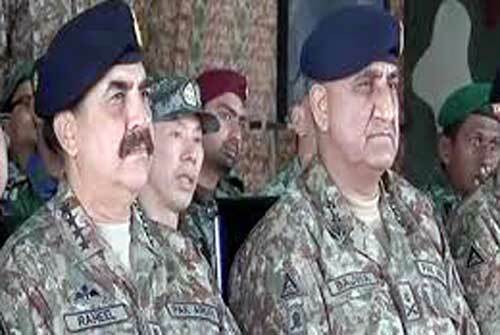 An indication was being given that things are likely to change for the better with the new Army Chief coming in. The ANSF is incapable of recapturing significant swaths of Taliban-controlled territory at current levels of U.S. support. The Taliban offensive, Operation Omari is still underway as of November 23. The summer offensive transitioned into a new phase in September that ended when Taliban militants launched multiple concurrent offensives to seize four provincial capitals in October. The ANSF, with vital U.S. support, successfully prevented Taliban militants from capturing the provincial capitals of Helmand, Kunduz, Farah, and Uruzgan during this phase. Taliban militant offensives nevertheless subverted the ANSF’s ability to seize territory from militants, allowing militants to expand their territorial control and threaten remote districts outside of major population centers. Operation Omari did not culminate in October and is continuing into its third phase. Militants have expanded control in remote areas of northern Sar-e Pul Province and threatened a district center in western Farah Province in November while the ANSF prepared to launch the second phase of their 2016 counteroffensive in the eastern provinces. Taliban militants will attempt tobesiege provincial capitals in order to pin down the ANSF there through the winter. The Donald Trump White House will have a fairly crowded foreign policy roster to deal with. From what has been said of the president-elect’s agenda for his initial months in office, Russia, the threat of ISIL and the ongoing turmoil in the Middle East, tensions in the South China sea, and his promises to renegotiate or abandon certain international trade pacts are likely to be his top priorities. South Asia does not seem to have made this list. And yet, the region presents some of the gravest threats to global security. Islamist terrorists and the conflict in Afghanistan remain huge challenges. But even greater is the danger posed by the threat of nuclear war between India and Pakistan. The world has recently been reminded of just how tenuous the India-Pakistan relationship remains. Bilateral tensions have been alarmingly high since a September 18 terrorist attack in Uri in the disputed territory of Kashmir killed 19 Indian soldiers. India blamed Pakistan, and responded by using military force inside Pakistan-controlled territory. Since that incident, both sides have continued to exchange fire across the Line of Control that divides Indian and Pakistani Kashmir, resulting in significant military and civilian casualties. The situation flared up significantly last week after India claimed that Pakistani commandos had killed three Indian soldiers. Days earlier, Pakistan reported that it had lost seven soldiers to Indian firing in one night. India and Pakistan are the only regional nuclear states in the world to be locked in an acutely crisis-prone relationship. Heightened crises offer terrorists the most realistic opportunities to breach Pakistani and Indian nuclear security protocols and gain access to their arsenals. Further, experts predict that an India-Pakistan nuclear exchange could “blot out the sun, starving much of the human race.”. It could be the end of the world as we know it. Like Atal Bihari Vajpayee in 2001-02, Prime Minister Narendra Modi is hoping the threat of war will compel Pakistan to leash the terrorists it has let out of their pens. But both sides seem determined not to blink first. IN the weeks after the 1965 war, Kashmir’s greatest spymaster began compiling the first volume of what would grow into a secret opus, reducing to paper the experience of decades of covert warfare against Pakistan. The story he told was grim. “The ceasefire which came into effect on the 1st of January, 1949,” Surendra Nath wrote, “was merely a prelude to Pakistani efforts to grab Kashmir by other means”. Pakistan’s aim, he said, was “to arouse communal passions, to assassinate important nationalist leaders, and ultimately overthrow the Government and capture power either through their agents, or by direct intervention”. Nath’s still-classified ‘Report on Pakistani-Organised Subversion’ laid out, in granular detail, the failed efforts of two generations of pro-independence radicals to make war on India. But by the eve of the long jihad that began in 1988, that war appeared won — Pakistan’s defeat in 1971 had established India’s military supremacy. Nath’s radicals had become pillars of the establishment: among them, Cabinet Minister in the National Conference government in J&K Bashir Kitchloo, senior police officer Javed Makhdoomi, and Muzaffar Beigh, who went on to become a top leader of the People’s Democratic Party. The Middle Kingdom has many achievements to its name, paper and gunpowder the most well known. It has been able to project an image of being inscrutable, tough, opaque and absolutely unwilling to entertain a contrary narrative. All this is true, but also true is the fact that the Chinese are more accepting of dictatorial tendencies. This faceless and gigantic mass of humanity has very little tradition of argument or balance, and absolutely no tradition of freethinking. Brilliant, hardworking and disciplined they are; consensual they are not. China severely restricts opinion, and any opinion contrary to what the politburo deems appropriate, may find you in ‘correctional facilities’, where you will be ‘gently educated’ about how you must think. Many people do not return home after a few sessions of this ‘gentle education’. China has the largest standing army in the world. It has the second largest economy. It is the most populous nation on earth and is a nuclear power, which occupies a pride of place on the United Nations Security Council. It has all the prerequisites of a global superpower. And yet, China is afraid of social media. This is why Twitter, Google, YouTube, WhatsApp and Facebook are banned in China. The Chinese government gives you alternatives, all in Chinese, and all under heavy surveillance by the China’s infamous Ministry of State Security (MSS), their premier intelligence agency. And that begs the question; what is it about the Chinese political structure that is so shaky? Wang Zuo'an, chief of the State Administration for Religious Affairs in China, asked Muslim citizens to stand against religious extremism. He also said the development of Islam in China should stick to socialism with Chinese characteristics, as per a Xinhua news report. Wang also asked for new mosques to exhibit Chinese features rather than copied foreign architectural styles. China is tightening its rules for religious ceremonies. Last week, a local government directive told residents in Xinjiang province to surrender their passports, in a bid to restrict their attempts to travel abroad. The resource-rich province of Xinjiang, which shares its border with Pakistan-occupied Kashmir and Afghanistan, was seething with unrest among Uyghur Muslims over the increasing settlements of Han Chinese from other provinces. The province has seen some deadly terror attacks in recent years that were blamed on the East Turkistan Islamic Movement (ETIM), which was linked to al-Qaeda in the past and now to Islamic State. IS CHINA USING NORTH KOREA FOR NUCLEAR BLACKMAIL AGAINST THE U.S.? Is China Using North Korea For Nuclear Blackmail Against The US? A Wall Street Journal article recently stated that “Some White House officials believe that if Mr. Trump follows through on campaign vows to label China a currency manipulator and slaps Chinese imports with hefty tariffs, Chinese President Xi Jinping will make it a point to be uncooperative on North Korea.” The main issue on which the U.S. needs Chinese cooperation on North Korea is to stop its development of nuclear weapons that can reach the United States. If the White House officials are correct, China’s linkage of cooperation on North Korea to U.S. trade issues would be close to using the nuclear weapons of a proxy country to blackmail the United States. China has arguably done this before, including through nuclear assistance to proliferating authoritarian countries. China is a major ally of Pakistan, whose China-assisted nuclear weapons threaten India. China is an ally of Russia, whose nuclear weapons threaten the U.S. and Europe. China is an ally of Iran, whose China-assisted nuclear weapons development threatens Israel and Saudi Arabia, both of which are U.S. allies. In other words, China assists all the major nuclear-armed countries that oppose the United States and its democratic allies. Why is that? Could it be that China is purposefully supporting nuclear proxies against the United States? If one of these proxies launches just a few weapons against the U.S., and destroys our economy, tax base, and therefore our defense industry, China could sit the conflict out, high and dry, and announce itself afterwards as the next global hegemon. A colorful graphic insert from the June 2016 Chinese naval magazine Naval and Merchant Ships [舰船知识] offers a troubling glimpse of one possible future for the South China Sea. A map on the graphic accurately displays Beijing’s three new long runways that have been built up since 2014 in the Spratlys, alongside overlapping range arcs for HQ-9 air defense systems (200km), YJ-62 truck launched anti-ship cruise missiles (300km), as well as for J-11 and JH-7 fighter/attack aircraft (1500km). More disquieting still is that there is next to the map an image depicting a burning aircraft carrier, struck by cruise missiles launched from surrounding Chinese frigates, as well as from shore-based launchers. Part of the caption for this colorful graphic suggests that “each of the reefs can offer mutual support to one another effectively enabling control of our country’s South China Sea area” (…各岛礁相互配合可有效达到对我国南海地区的控制). A somewhat less bellicose (but hardly benign) interpretation was offered by a report from the Asia Maritime Transparency Initiative (AMTI) of the Center for Strategic and International Studies (CSIS) in Washington at about the same time. That report concluded that extensive hangars were being built on all three islets in the South China Sea (Fiery Cross, Mischief and Subi), so that the new bases could “soon have hangar space for 24 fighter-jets plus 3-4 larger planes.” Perhaps given the above evidence, it is too late to hope that Beijing would resist fully militarizing the new facilities that it has constructed. On the other hand, the AMTI illustrations did each carry the caveat that the authors had themselves drawn jet silhouettes directly onto the satellite photos so that “aircraft [were] shown for illustrative purposes.” Somewhat surprisingly, so it seems, there has still only been one confirmed visit by a Chinese military aircraft to the reef air bases back in spring 2016 and that was for the purpose of rescuing some ill workers. The actual Chinese garrison, capabilities and missions for these bases remain a mystery to a large extent. The first time I met Michael Flynn, whom President-elect Donald Trump tapped last week to be his national-security adviser, he was wearing the Army’s weekend uniform—a baggy polo shirt and khaki pants—and swinging his Blackberry around like a cowboy would his revolver. It was the late summer of 2008, at a Washington cocktail party hosted by Flynn’s boss, Admiral Michael Mullen, who was then the chairman of the Joint Chiefs of Staff. Flynn was Mullen’s top intelligence guy. “Look at this!” Flynn said, holding up his phone so that I could see the screen. At his request, his communications staff would send him the daily dispatches published by tribal media outlets in Pakistan’s troublesome northwest region. These articles chronicled skirmishes, feuds, and revenge killings—it was unfiltered information that any decent Western news stringer would know how to read, but that, seven years into the war in Afghanistan, the American military was still far from absorbing. Flynn got it, though. He was drawn to the little flecks of truth scattered on the ground. MANILA — On Thanksgiving Day, a Philippine developer named Jose E. B. Antonio hosted a company anniversary bash at one of Manila’s poshest hotels. He had much to be thankful for. In October, he had quietly been named a special envoy to the United States by the Philippine president, Rodrigo Duterte. Mr. Antonio was nearly finished building a $150 million tower in Manila’s financial district — a 57-story symbol of affluence and capitalism, which bluntly promotes itself with the slogan “Live Above the Rest.” And now his partner on the project, Donald J. Trump, had just been elected president of the United States. After the election, Mr. Antonio flew to New York for a private meeting at Trump Tower with the president-elect’s children, who have been involved in the Manila project from the beginning, as have Mr. Antonio’s children. The Trumps and Antonios have other ventures in the works, including Trump-branded resorts in the Philippines, Mr. Antonio’s son Robbie Antonio said. “We will continue to give you products that you can enjoy and be proud of,” the elder Mr. Antonio, one of the richest men in the Philippines, told the 500 friends, employees and customers gathered for his star-studded celebration in Manila. Stories on the presidential transition and the forthcoming Trump administration. Mr. Antonio’s combination of jobs — he is a business partner with Mr. Trump, while also representing the Philippines in its relationship with the United States and the president-elect — is hardly inconsequential, given some of the weighty issues on the diplomatic table. Among them, Mr. Duterte has urged “a separation” from the United Statesand has called for American troops to exit the country in two years’ time. His antidrug crusade has resulted in the summary killings of thousands of suspected criminals without trial, prompting criticism from the Obama administration. WASHINGTON — The global club of nuclear weapons states now stands at nine, but if President-elect Donald Trump rips up a nuclear deal with Iran or backpedals on alliance commitments in East Asia, the number might grow, experts say. It may be foolhardy to predict what will happen after Inauguration Day on Jan. 20 since Trump has already changed course on several campaign pledges. But Trump has zigzagged in public statements on the prospect of East Asian allies potentially going nuclear and has suggested repeatedly that he’ll scrap the 2015 Iran deal that imposed curbs on Tehran’s nuclear program in exchange for easing sanctions. “If the outcome is that Iran says, ‘All gloves are off,’ that would set off an enormous cascade of events, particularly with Saudi Arabia,” said Hans M. Kristensen, the director of the Nuclear Information Project of the Federation of American Scientists. Saudi Arabia is the Islamic world’s rival power to Iran, and the two nations have clashed over opposing interpretations of Islam, relations with the West and how to handle flashpoints around the Middle East, such as Syria and Yemen. “If Iran does end up moving forward with its nuclear weapons program, I think Saudi Arabia is very likely to feel pressure and want to move forward,” said Scott D. Sagan, a senior fellow at the Center for International Security and Cooperation at Stanford University. Another regional power, Turkey, may also feel the nuclear itch. “In Turkey, there is a set of hard-liners that have muttered for a long time that maybe they should have their own nuclear weapons,” said Jeffrey Knopf, a nuclear proliferation expert at the Middlebury Institute of International Studies in Monterey, California. Since its 2008 incursion into Georgia (if not before), there has been a remarkable evolution in Russia’s approach to propaganda. The country has effectively employed new dissemination channels and messages in support of its 2014 annexation of the Crimean peninsula, its ongoing involvement in the conflicts in Ukraine and Syria, and its antagonism of NATO allies. The Russian propaganda model is high-volume and multichannel, and it disseminates messages without regard for the truth. It is also rapid, continuous, and repetitive, and it lacks commitment to consistency. Although these techniques would seem to run counter to the received wisdom for successful information campaigns, research in psychology supports many of the most successful aspects of the model. Furthermore, the very factors that make the firehose of falsehood effective also make it difficult to counter. Traditional counterpropaganda approaches will likely be inadequate in this context. More effective solutions can be found in the same psychology literature that explains the surprising success of the Russian propaganda model and its messages.